There's now only a couple of weeks left until Thanos' threats to snap his fingers and wipe everyone (or at least HALF of everyone) out of existence are potentially realised with the release of Infinity War to cinemas. And still Marvel are releasing new footage, thanks to some new TV spots. It's a great moment, reminding us all of the Mad Titan's drive (which is later hinted at further when he alludes to it being "a small price to pay for salvation," but it's not the most notable. 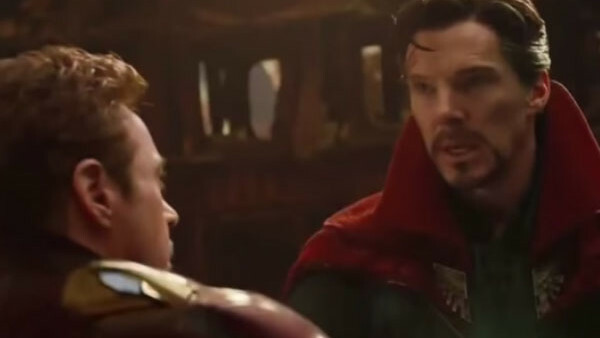 Even more interestingly, the film confirms a time travel element as it shows an exchange between Doctor Strange and Tony Stark in which the Sorceror Supreme says he has travelled forward in time "to see all the possible outcomes" and Stark asks whether they win any of them. Will we actually get to see Strange jumping forward, or is this no more than an exchange to ramp up the ominous feel to things? Also, how is it even possible? 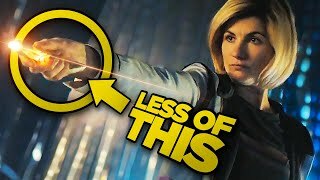 Surely time is fixed, even for Doctor Strange and the only way for him to see multiple outcomes would be for him to be able to transcend not only time but the space between alternate universes? Since when did the Time Stone have that power? And if it does, isn't that sort of cheating?